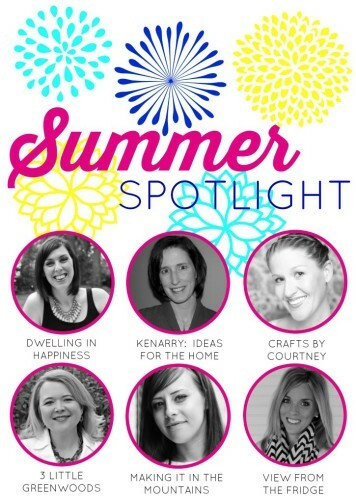 Welcome to the 2nd week of the Summer Spotlight! 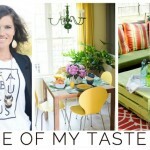 This summer we are shining the spotlight on great ideas for the home from a different blogger each week. 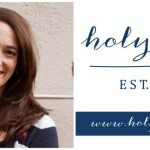 This week it is my turn to tell you all about one of my favorite DIY bloggers: the amazingly talented Tasha from Designer Trapped in a Lawyer’s Body. 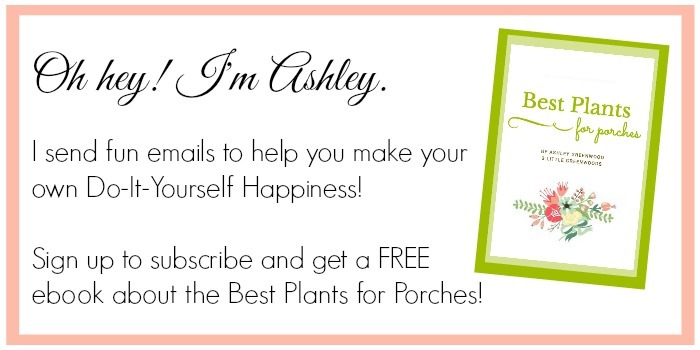 As always, if you love Tasha’s ideas, please click through to her site and pin them from the original source. Many of you may already know Tasha from Designer Trapped in a Lawyer’s Body but if you haven’t then you are in for a treat! Yes, Tasha is a real lawyer. But she is so much more than that! 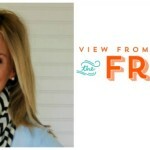 She is mama to precious twin girls and has a great passion for budget friendly DIY home renovations. 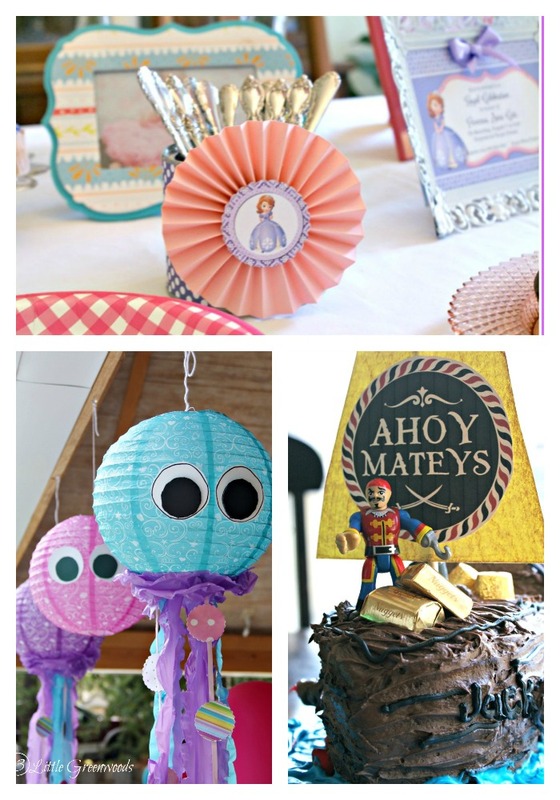 On her blog, Designer Trapped in a Lawyer’s Body, shares thrifty DIY renovations, creative design, simple crafts and household tips for REAL people living REAL lives. Way back before I was a blogger myself I stumbled across this post from Tasha telling about how she painted her boring vinyl floors and turned them into fabulousness! 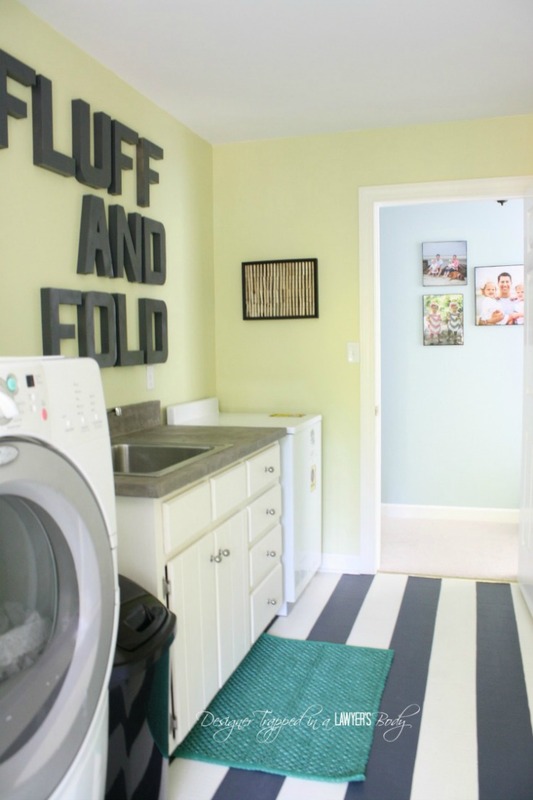 This project totally blew me away and I loved that the total cost was two gallons of floor paint. Ever since then I have been a faithful follower! Tasha moved from the laundry room straight into the bathroom to transform an outdated cultured marble vanity using concrete. Yes, you read that correct! 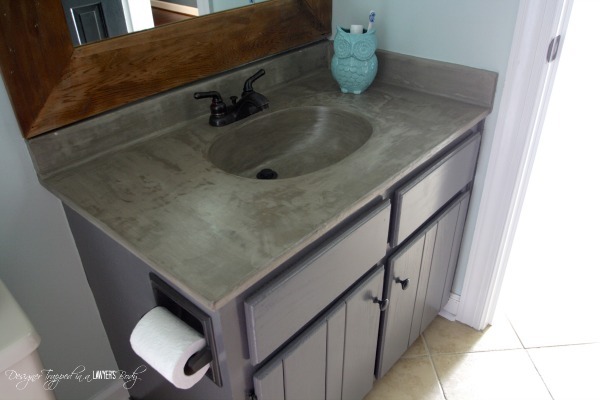 The entire vanity was covered with concrete to create an unbelievably cool finish! Click here to see the entire DIY Vanity Makeover project. 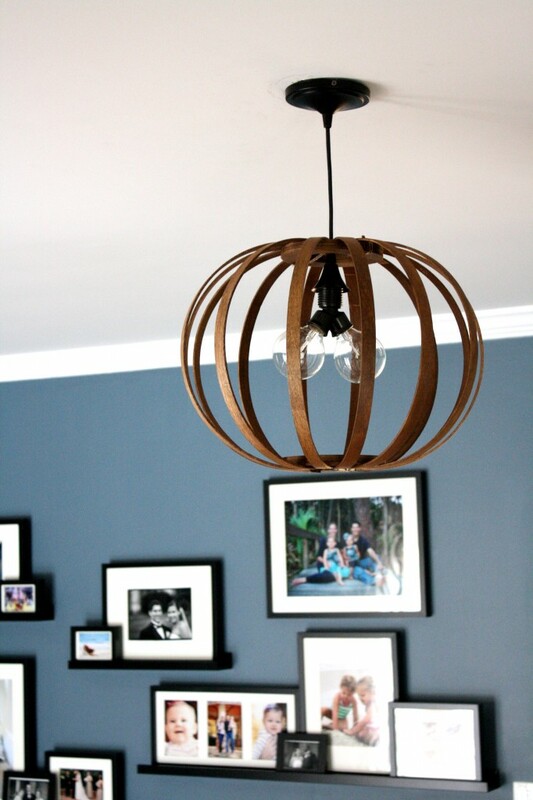 Instead of paying big bucks for a West Elm’s Bentwood Pendant Light Tasha knew she had to figure out a way to make one for herself. After a lot of head scratching, she finally figured it out and the results are amazing! Click here to find out exactly what she used to make her own DIY Bentwood Pendant. 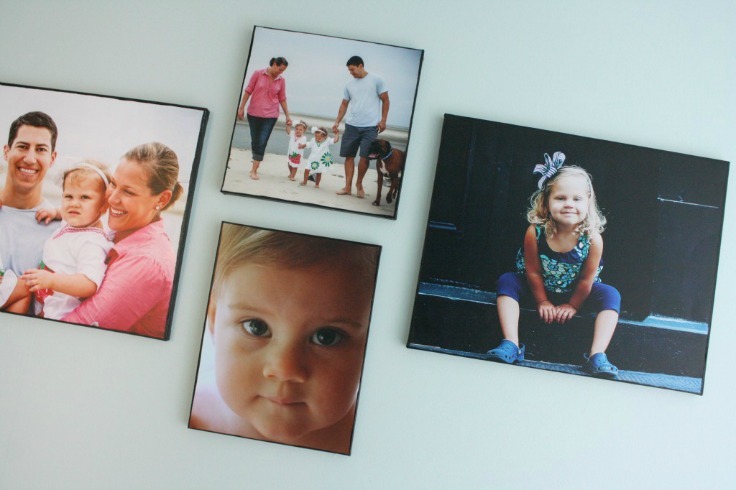 Speaking of saving money I love this gallery wall filled with DIY Photo Canvases. Tasha made them all herself for a fraction of the cost of traditional canvas prints. Click here to see her secret technique to creating that canvas texture! 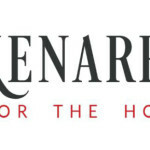 I am all about saving the best for last and this kitchen makeover is definitely one DIY Kitchen Makeover you are going to want to read all about! Just take a moment to look at the before and after of this kitchen. How much do you think it cost? What if I told you this budget kitchen remodel cost less than $700? See! I knew you were going to want to learn how Tasha did THAT! 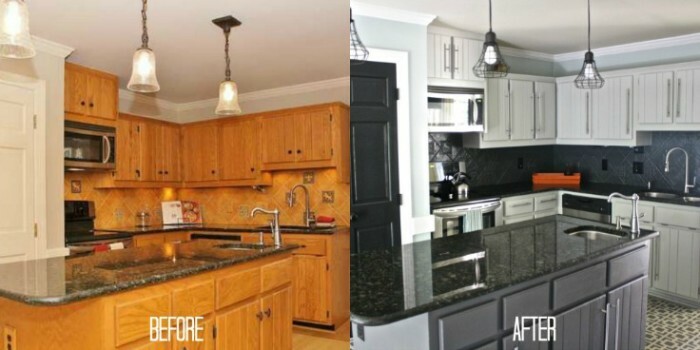 Click here to see all of the jaw dropping kitchen makeover projects. Oh wait! 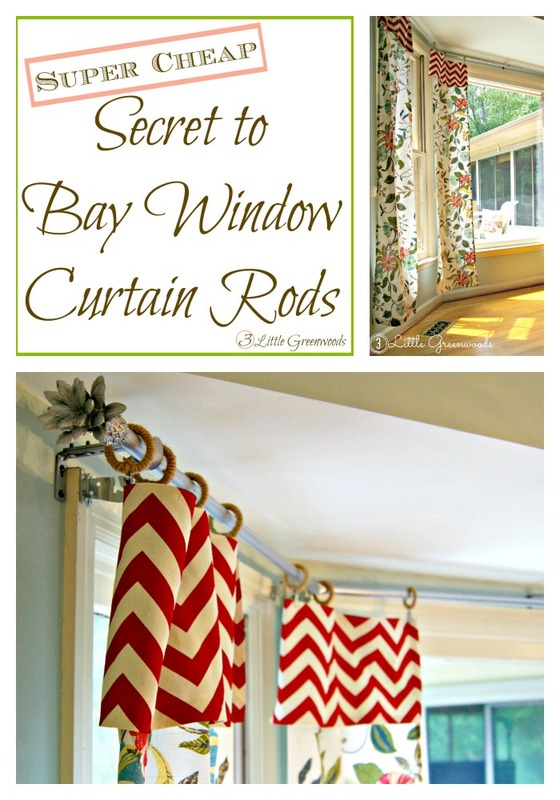 I’ve got one more awesome DIY from Tasha to share with you! Summer is here and we are all going to swatting pesky bugs very soon. 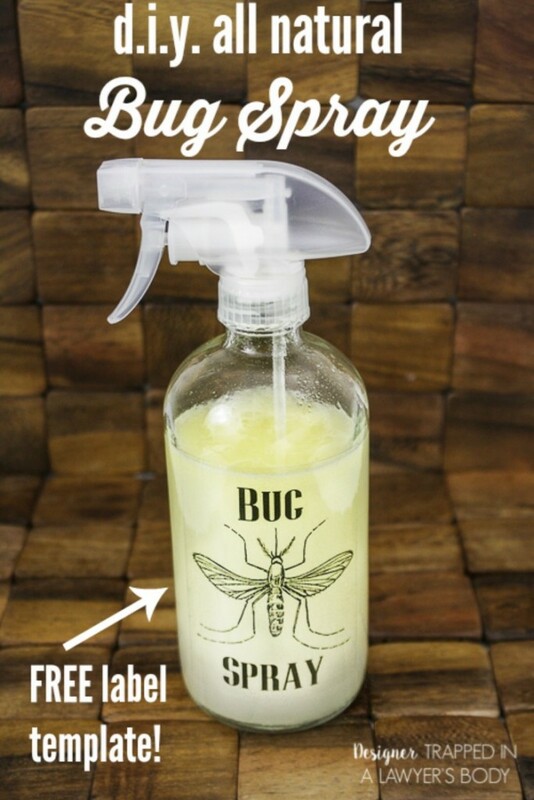 Instead of spraying our families down with a harmful, chemical loaded spray use this recipe for DIY All Natural Bug Spray. 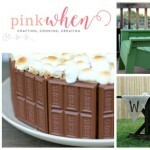 I am definitely going to make some for my 3 Little Greenwoods! 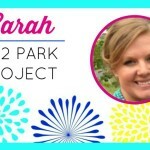 I can’t wait to see what unique and amazing DIY projects Tasha is going to tackle next! Make sure you are following along too! If you enjoyed this feature about Tasha, you may want to check out the other bloggers we’ve featured in the Summer Spotlight. You can also visit our Summer Spotlight Pinterest board to view all the great ideas we’ve shared so far this summer.